Messages from Archangel Michael, Kari's experiences with A A Michael. Mother Teresa and Maya Angelou. Master King Zhoser and ( the birth Caul of a Mystic). The Invitation Poem and MUCH MORE ! The Archangels and Their Divine Complements. Click below for Kari's Live Pure Hope Show on 12-22-2015. Kari covered the Cities of Light and Spirit brought through a Divine Equation for all the listeners for the Solstice and the energies and healing we all need for the New Year of 2016. Also, "The Great Awakening of 2016 and Beyond, the Protocol for the New Consciousness"
Click below for Kari's NEW Guided Meditation CD for the Grounding and Protection Process with Inspirational Writing. SPECIAL -We are now taking appointments for clearings, blessing and consecrating homes, people, land and businesses, book stores and healing centers. Do you hear a bump in the night ? Do you feel as if " someone is watching you " objects are moved ? Then you need us. SEPTEMBER 29 ~ ARCHANGEL MICHAELS DAY of CELEBRATION ~ Archangel Michael's Retreat: Above Lake Louise and the surrounding mountains near Banff, Canada and The Royal Grand Tetons, WY. I believe in life, in will, in good. I believe that right wins out. It may sound naive, but I believe. Maya Angelou. Great words to live by. The Three R's: Respect for self; Respect for others; and Responsibility for all your actions. We Are Each Angels With One Wing, The Only Way We Can Fly Is By Putting Our Arms Around Each Other !
" Friends are quiet angels who lift us to our feet, when our wings have trouble remembering how to fly"
Information on Palo Santo Wood " Holy Wood " and Testimony BELOW the message from AA Michael. Please feel free to share these messages. Please add our credit lines Thank You. Beloved Archangel Michael, the Archangels, the Angels, God/ Creator, and The Entire Universe, I invoke your attention, presence, love and light in us now and the Earth. Let your love shine as a torch of light into our soul and heart, awakening and invigorating the natural loving energies that I hold. Pour your consciousness of love into my entire being and energy bodies so that I may exist as the pure and blissful love of the angels. Allow me to experience a love that is greater than I have previously experienced. I ask that the energy of the entire angelic kingdom of the Christ Consiousness vibration is anchored deep into the Earth now on all vibrational levels of the Earth. Please stabilize the Earth's energies and our own energies so that we may experience and absorb the presence of love with grace and ease. Archangel Michael, I ask that you remove the separations and boundaries between the Earth and the angelic kingdom to allow the love of the angelic kingdom to truly manifest into humanity's physical plane and reality. Archangel Michael, as an Archangel of the Earth I trust in your sacred knowledge of the Earth and its humanity's needs. Let the love of the angelic kingdom prepare all to be receptive to the new energy wave of 2019 and beyond. Thank you. Archangel Michael, I ask you to assist me in magnifying my energy and extending my light to the nature kingdoms and the Earth. Please create a sacred bond that is unbreakable between my soul and the sacred pure vibrations of the nature kingdom. I am open to learning from and listening to the wisdom that the nature spirits wish to share with me now. I wish to anchor my own energies of love into the soul of Mother Earth so that we may exist as one united energy, merging and exchanging valuable Creator energy to aid our spiritual development but also the ascension of all humanity. I express my love to Mother Earth for her constant loving presence and ask that I am able to adopt a constant loving presence on the Earth as a reflection of Mother Earth's divine soul and pure qualities. Mother Earth as I send my healing energies to you now ,I honor, respect and love you with all my heart and soul, recognizing you as the Creator on the Earth. Let my bonds and appreciation of the Earth, Mother Earth, the nature kingdom and spirits increase with each day as I extend the love of my soul to all. Thank you. Archangel Michael, the Archangels, Ascended Masters, my beloved God, guides and the Creator, I call upon your protection, support and love now and ask you to align me on a new higher vibration to the soul of the Creator, as well as the soul of Mother Earth and MY OWN SOUL. Please allow me to be receptive and open to the loving and inspirational energies I am about to receive. I ask that you now anchor into my entire being the new energy wave of 2015 and beyond, let me experience this sacred energy holding wonderful intentions from the Creator's soul pouring through and merging with my being. Assist me in perceiving and understanding the teachings of the new energy wave with ease. Thank you. We are now able to navigate moment to moment from a truly quantum state of clarity and participation! To transcend all time and space. Expansive, non-linear, quantum informed inner knowing awakened! To gracefully allow the new paradigms of the New Earth and the Consciousness of ONENESS with ALL and Oneness with my Oversoul/ HigherSelf. Thank You. We Are One People, One Planet, One Purpose: Peaceful Co-Existence of ALL Life - Here and Beyond! Namaste, Hope the new year of 2019 is going well for you, There is A LOT going on at this time. I have brought through a message from AA Michael, the Great White Brotherhood, ( a group of Ascended Masters, Council of 9, Council of 12, council of 24, Council of 144 and Council of 144,000, Angels and Saints working together for a common goal for humanity, earth and the evolution. They work as a collective mind and unity consciousness of the I AM Presence ) and our Star Families . Please Share, We Thank You. � Namaste my Beloved Brothers and Sisters. We come to you with great Love, Adoration and Appreciation. We have a lot to report at this time for 2019 and 2020. This new year of 2019, will be about YOUR Individual healing, purging and releasing. Your Spiritual gifts and awareness is coming forward and expanding . Your Self Mastery, Self Empowerment, Self Realization, Personal Transformation, and becoming your TRUE Authentic Self. EVERYONE has something special to offer, EVERYONE ! The VEILS will be removed to the level that you as individuals and groups can receive. Many of you are walking in 2 worlds at one time, that of the earth and that of the 5th Dimension and higher. You need to stay very grounded and protected. WE NEED YOU to BE the Soul that you came to Earth to BE. To help and to be a conscious part of the evolution of Human Consciousness , to be LOVE. It IS who you are, this is your destiny. It IS time. To continue to gather with others of like mind and soul, this will help you and Mother Earth immensely. And will prepare you to move into Unity Consciousness and Quantum expansion for 2020, 2020 will be all about positively changing the course of history. It is Universal and Spiritual LAW, Where two or more are gathered together in the name of Christ Consciousness, there IS the energy present for healing, miracles and activation. You need to pray for the GIFT of Discernment that vibrates at the Cosmic Christ Consciousness level, to have the Heart Knowing for what is Real and True to you. To be in communication with your soul/ Higher Self at ALL times, to become familiar with the vibration/ energy of your soul and if any other energy enters, you will immediately know. Use the tools we have given you for energy/ psychic protection, grounding, soul communication, discernment and learn about the Akashic Records, the TRUTH of ALL that is and ALL about YOU is in the Akashic Records. Consider writing up your new Soul Contracts for 2019 ASAP, your True Hearts Desires. Since 2012 you need to bring this through the written word to be manifested in the 3rd Dimension on earth. There are other energies , the dark energies , that are trying to stop the Great Awakening and stop the Love, Light , Peace and shared power coming into the planet. Nothing to fear at all, you have us and the tools/ prayers. Many have been reporting to us that they are being attacked or influenced or diverted off their path . They are trying to drawl you away from your true path. The dark energies want to separate and segregate you, this will be coming to an end. Know that there are MANY light workers, those who channel, intuits and healers that have made agreements with the Dark side for fame and fortune, you can identify them by their OWN drama of themselves and not helping the earth or mankind. Stay in YOUR Truth. Do NOT allow them to disrupt your truth and what you are to be doing as a Light Worker and Star Seed. KNOW WHO YOU ARE ! Always seek guidance from your Soul and Master Guides, Teachers and Angels, ( everyone has them ) asking them, if you are being energetically supported to see _______ or seek teachings from _______. It is ALL about Spiritual Integrity. Please do not compromise your integrity for anyone. Your FAITH in us, your soul and God/ Creator will be at the foremost front, we are now asking you to be willing to step outside your box or comfort zone and move into the higher vibration of Faith and Blind Faith, to another comfort zone, Give us a chance to prove to you that we are here, WE will help you and we will NOT let you down. We cant do this unless you are willing to co-create with us. Earth has Free Will Law, so unless you invite us, we cannot intervene, So Invite us , we are waiting. Many of you are aware of whats been going on with all the strange energies, let us explain. On January 5 2019 , there was a warring fraction ( people or groups in conflict with each other ) orchestrated from Orion ( only a warring part/ group of Orion, not all ) that started to effect the Cosmos, Universe and Earth in a negative way, trying to take control ( power play ) of Earth, Mankind and the Great Awakening. This warring aspect of Orion wants Control and Dominance over Earth. This will NOT be allowed or tolerated. At 3:33 am on January 11, an Emergency Conclave ( a private , sacred and secret assembly, a gathering of groups ) was called forth, on Andromeda and Sirius to work together to neutralize the warring energies. We are still in Conclave. Know we are neutralizing these energies from the Warring Fractions of Orion and all the 5G frequencies, satellites and cell towers. The Orion warring energies have influenced these. Many of the Gatherings this weekend ( 1-11-2019 ) are involved and helping in this process and many gatherings through out this year will be playing a pivotal role in helping, mainly in your night work. Again, stay grounded and protected. Nothing to fear at all, we are sharing this to give confirmation to those who are already aware, and answers as to why the energies ( electric magnetics ) are so crazy and fragmented at this time. Stay in communication with your SOUL. We are going into FULL Disclosure and Transparency in 2019 and 2020, let us explain. Not only with the UFO community, but with the government, medical entities, doctors, schools, bank institutions, pharmacies, reality, and ALL Light Workers and Star Seeds. This is already being witnessed, is it not ? This will be a wonderful time for truth to come out. Be Strong Dear Ones, Help each other, and Know we are here to help, it is amazing to assist and to witness you work through these times, you are doing an amazing job, even with all the adversities you are faced with as a species. We see you in the FUTURE on Earth and it IS A Beautiful Site to Behold. The Earth is NOT ending or life on the earth is NOT ending, An old Paradigm and old ways of thinking are ending, and the new Paradigm of Love, Light, Peace and Shared Power is emerging, this is the New Earth and New Consciousness. Welcome Home my Beloved Brothers and Sisters, Welcome Home, You are all so LOVED, Many Angel Blessings, I AM Archangel Michael�. Work with the enclosed symbol ( and Holy Wood , Palo Santo ) by placing yourself and whatever needs protection in the center of the symbol. Then draw it out with your right hand, having each circle within the next, counter clock wise and recite the mantra, Kodoish, Kodoish, Kodoish, Adonai Tsebayoth with each circle : Ties together all biorhythms of the body with the spiritual rhythms of the Oversoul body, so that all circulatory systems operate with ONE Cosmic Heartbeat------ This translates as "Holy, Holy, Holy, is the Lord God of Hosts". Archangel Metatron explained that the Kodoish expression is the greeting of the Brotherhoods of Light, setting in motion a resonance pattern that is so strong, only those who serve the Divine Plan of God/ Creator can return the greeting. In fact, negative forces cannot remain for long in the presence of the holy vibration. It can be used effectively as a Light protection around anything or anyone. You can also use this symbol over food, liquids, during healings and EVERYTHING. This symbol automatically and immediately raises the vibration of what ever it is used for to the 5th D. and Christ Consciousness vibration. 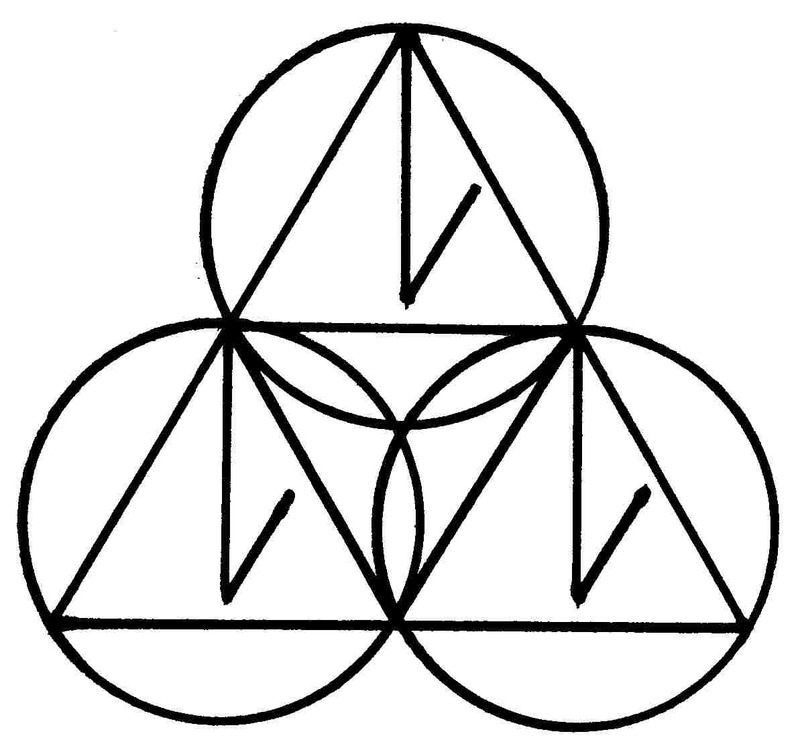 Called the Vesica Piscis symbol . Palo Santo "Holy Wood" . After smelling this very special Holy Wood at Peaceful Heart ( I immediately felt a overwhelming sense of peace and clear energy ) and working with it first hand on all the negative energies and entities around in the last few months I have come to swear by its use and ability to keep me and everything and everyone clear of entities, energies, attachments and evil. It works WITHOUT a Doubt ! The majority of the healing work I AM doing right now is dealing with evil on the planet at this time and EVERYONE is being affected by its presence. I started sharing the results with people and they have reported the same GREAT effect from the Holy Wood. All I can say is this " when negative entities, attachments and energies are around when I start to burn the Holy Wood and do my prayers the evil IMMEDIATELY leaves. IMMEDIATELY and Automatically. It is so AMAZING to witness the results from this very sacred wood. Love Kari. We do have plenty on hand to purchase at Namaste. Pacific Coast, Ecuador : Palo Santo, Bursera Graveolens, is an aromatic tree native to the Galapagos Islands and the dry forests of South America. In traveling along the coastline of South America�s Pacific coast from Northern Peru to Ecuador one is captured by the perfume of Palo Santo. If you follow the perfume trail you�ll reach the Machalilla National Park, located in the Province of Manabi, on the coastline of Ecuador, where you will find the biggest concentration of Palo Santo trees in all of South America. As in Peru, the Palo Santo tree in Ecuador is protected by the national government and can only be harvested under strict conditions. Shamans Market supports these sustainable practices through its association with Deltatau Palo Santo Foundation of Manabi. When walking the trails of the Machalilla National Park with the sun at its peak, the brackish air from the ocean fills up with the aroma of the Palo Santo resin and you are filled with a sense of peace and tranquility. The name Palo Santo means "Holy Wood", and what a fitting name that is. The magic of Palo Santo is in the alchemical process that happens after the death of a limb or a tree. You see, in order for the Palo Santo to gain its magical and medicinal properties it must die, but not just any death � only a natural death of a wise old limb or tree. The Palo Santo trees live for 80 to 90 years. After this death the tree must remain in its natural habitat for 4 to 10 years to complete its metamorphosis. Only then do its sacred, medicinal and mystical properties come alive. Palo Santo has been used for thousands of years in Peru and Ecuador by shamans and healers. Travel today through the Andes Mountains you still find shamans, curanderos, and healers using Palo Santo as part of their ceremonies and healing rituals, evidence that its use more alive than ever in their culture. Increasingly the healing properties of Palo Santo are finding its way into the rest of the world as one of the truly great resins of Mother Earth. It has capacities in both physical and metaphysical realms. Palo Santo has even caught the attention of western scientific researchers for it chemical properties which include limonene and monterpenes that are being studied for their anti cancer effects. It�s truly amazing that this �Holy Wood� can at once, through its healing scent and sacred smoke, provide energetic protection, remove bad energy, uplift the spirit and bring good luck as well as repel mosquitoes and treat a headache. In the ethno-botanical systems of the Andes Palo Santo is also used: as an insect repellent, as a feline stimulant (similar to catnip),for colds, asthma, allergies, stress, anxiety, sea sickness, migraine, arthritis, neck aces, cervical pain, meditation and relaxation. How to Use: Unlike conventional incense which burns completely after lighting, Palo Santo may be relit many times. When lighting, allow the wood to burn to less than a minute, then blow the flame out. You may also Palo Santo may be re-lit many times. You can also put it on charcoal briquettes for longer burning time. Testimony on Palo Santo ~ Holy Wood: I am amazed how this wood works. Palo Santo is " Holy Wood" and is one of the tools to use to clear out very dark energy..... " I ordered some and brought it to the store today and was smudging with sage and Palo Santo. I went into the display case and picked up a pendulum that has moldavite in it. I put it in the smoke of the Palo Santo and asked if it was of the light and It turned counter clockwise ( no ). I said if you are not of the light you must go now and there was a flash of blue light. I asked it if it was of the light and it said yes... moldavite is not of this planet and I am not sure where in the universe it is from but it does not follow earth or universal law..I am not saying all moldavite is bad. Discern for yourself... If people have dark energies even satanic energies in their home they will not stay in the influence of Palo Santo...and if you watched any of the freeman video you will know that there is a whole lot of that dark energy around...so one more tool for our tool box. ...thank you Kari for sharing this sacred wood with me, love to you, Lelie"
What is deliverance: Deliverance is the removal of spiritual oppression through prayer, reading of the scriptures, casting out of negative energies/ entities and/or counseling. Deliverance is not about converting to a religion or being "born again," but helping individuals overcome behaviors. Methods: Deliverance ministries focus on casting out the spirit or spirits believed to cause an affliction. The method of casting out varies. Some adherents directly recite prayer or biblical examples intended to command a entity or negative influences to depart an afflicted person. Purpose: The purpose of a deliverance ministry is to help those who are held captive. Captivity can be as a result of oppression, depression or entity possession. Important Elements: The four important elements of deliverance ministry are: Inner healing, tearing down strongholds, removing and/ or casting out entities. Deliverance ministries seek to remove any influences that allow the negative energy/ entity to take control over the individual. The individual must take responsibility and be involved in the process. There are currently many �deliverance ministers� that speak about the authority we have as believers� Great deliverance is a function of freedom from sin, self and negativity. How it is different from exorcism: Though many people confuse deliverance with exorcism, they are not the same. Exorcisms are carried out through the use of various rituals of exorcism, such as the Roman Ritual, and often utilize attendant sacramental such as holy water, while deliverance involves the ongoing counseling of the individual through various rituals, ceremony or Biblically based programs. Scriptural Basis: The scriptural basis for deliverance ministry comes from Ephesians 6:10-20, which talks about putting on the full armor of God, and Luke 4:18, which talks about how the Spirit of the Lord is upon us to preach deliverance to those who are held captive. Activities carried out by individuals or groups aimed at solving problems related to entities and spirits, especially possession. Leaders of these ministries emphasize the activities of negative/ evil spirits in the physical, psychological, or emotional, spiritual experience. During meditation I received that we needed to bring a Divine Equation through, requested through Archangel Michael and Metatron that would not only help humanity, mother earth, but, all species of life through these times of increased vibrations and frequencies but also, the Gulf situation. These equations many of you may remember ( we have used them in EVERY place we have gone to do our energy work ) , and I must say this one is AMAZING ! For myself and those who I have worked with, we have seen and experienced amazing results. One of those experiences are below. We are sharing this with all who resonate with it. The frequencies will align with the New Jerusalem which at this time is tethered/ stationed over the gulf. When we align with these frequencies and recite them, it will allow co-creation with our Oversouls/Higher Self and the Spiritual Hierarchy and Angels to anchor in these frequencies of grace and knowingness through us. It will allow all those involved with the Oil Spill to not only find the solutions but, to use them and will work with the Whales, Dolphins and Elementals to help calm the gas being released and the instability within the earth along the entire Ring of Fire. The Equation will help all species to calmly and gracefully integrate with the higher frequencies and vibrations that are now coming into the planet. And will help GREATLY with the purging we are all going through including our Animal Kingdom. These equations are to be energetically experienced. The equations are a way to engage with the light language, directly and symbolically. If you think of numbers and letters as archetypes and the fountain of the archetypes is the 8th charka then it is a way to connect to Angelic and Stellar language. It bypasses the mental body�s need to know. The Angelic language through letters/ numbers helps one become aware of non-truths and eventually whole divine concepts are received into the body�s intelligence centers. The alpha-numerics are transmitted in harmonic sequence that have a definite rhythm. It�s like allowing the creation of space and time through harmonic sets applied to the letters. Numbers that creates the geometry that directly affects/ effects your merkaba configurations, that are then infused into the charka energy systems of the physical bodies and in some cases there is DIRECT cell interface. It is according to each individuals push- pull, pulse- tone, accept- resist to the shifts in spin ratios to addressed fear based models that depend on a persons reaction- reception to the light and also the ratio of the bodies that has converted to crystalline matrix. When certain calibrations are locked on, they allow access to many keys and encodings. Recite the Divine Equation and BREATHE. And allow the Divine Equation activation to take place. SUM VI WAN QUEST DOVE Mogen THIRTY THREE"
"way sum vet an torah cuve lah nor , lah noir, lah la vee"
GENERATIONS OF SUFFERING THIS PLANET HAS YIELDED? WHY DO WE ALL SUFFER? ALL SPECIES SUFFER AS A RESULT OF SOME FORCE OUTSIDE ITSELF. WHY CAN'T WE LEARN? Angels of Protection: Archangel Michael and Lady Faith- 1st Ray Blue. The Blue Ray of God's Will. Clears away negativity and fear and provides protection and courage. Works with the Blue Ray Children. Angels of Illumination: Archangel Jophiel and Christine- 2nd Ray Gold. The Gold Ray of Enlightenment. Lifts and heals negativity and surrounds everything with love and beauty. Angels of Love: Archangel Chamuel and Charity- 3rd Ray Pink. The Pink Ray of Divine Love. Helps bring both global and personal love and peace and assists in finding anything that is lost. Angels of Hope: Archangel Gabriel and Hope- 4th Ray White. 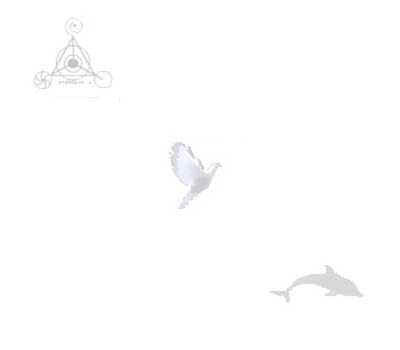 The White Ray of Purity. Helps with communication of all kinds and also helps parents with child raising. Brings Hope to all those who ask. Angels of Healing: Archangel Raphael and Mary- 5th Ray Green. The Green Ray of Truth. Heals ailments in people and animals, and guides and supports healers. Angels of Service: Archangel Uriel and Aurora- 6th Ray Ruby. The Ruby Ray of Ministering Grace. Teaches one how to be in service and in love. Allows any service of love to be GRACEFUL. Angels of Mercy: Archangel Zadkiel and Amethyst- 7th Ray Violet. The Violet Ray of Freedom. Helps transmute energies to the light. Helps in forgiveness. Archangel Metatron: Heals childhood issues and helps with the indigo and crystal children. Holder of the Akashic Records. Sacred geometry. The Heart colors of green and pink. We are on global family, all colors, all races, one world united. We dance for peace and the healing of our planet earth. Through our diversity we recognize our unity. Our love is the power to transform the world. Let us send it out... NOW!!!! Going Home: Assisting Loved Ones and Animals to the Other Side. This book is helping MANY in Hospice Care. The Accolade, or Knighting Ceremony: The Initiation / ceremony bestowing knighthood. The Sword of Light / Love and Truth ( the Excalibur ) is used with this Initiation. Receive Archangel Michael's Blue Sword of Love and Truth into the Order of Michael. Kari will share her long history with Archangel Michael as and through the energies of the Lady of the Lake and how she came about the Excalibur in this incarnation as a Walk-In. A profound experience. This Initiation can be facilitated through private or group sessions. Abundance exchange, a love offering is always greatly appreciated, we thank you. "Excalibur" Rising to infinity, Great sword of light! Guarded by a Lady of the Lake, Passed on to man, When two entwine as one. Opening all creative force Mighty Excalibur! Kari is known around the world for her prayers and opening ceremonies. "Opening and Closing Ceremonies" for your conference, gathering or event. Kari uses the Universal Laws and the appropriate Protocol in inviting the Masters and in setting the Energies of Intention for your conference or gathering. This would include ANY clearings that needed to be done before and during the gathering, inviting all the master to be present and receptive during the gathering, the anchoring in of the 49 Rays from the Heart of God/Creator, helping to create the energy signature ( with toning and kirtan) for the conference or gathering, anchoring in the Violet Flame with Master St. Germain, and the holding of these energies for the entire event and for the group. Kari and Archangel Michael will bring through messages that apply to the group, initiations when appropriate and they can do the closing prayers, blessings and giving thanks ! FAITH ~ Faith is the force of life. Do I get anxious at sunrise because all I can see is the tiny rim of the sun ? No, because I know that if I wait long enough, I will see the sun in all its brilliance. The same is true of Gods plan for my life. I will never see everything in advance, but if I wait long enough, God always reveals his will. With each sunrise, We start anew. it will be a power such as the world has never known." November 11~ 1995 ~ It was during a time of great change in my life. I knew in the very depths of my heart and soul that my life was about to drastically change and that there would be no turning back. What this is all leading up to is/ was my need to take my questions to my soul and spirit directly. Much of my present time learning and studies have been with spirit and the masters directly and consciously. I had been praying 2 and 3 hours a day, not to anyone specifically, but with God/ Creator and all my master guides, teachers and angels. I asked for direct conscious communication in a way that my logical mind would know and understand. On November 11-1995, I woke up and in the door way of my bedroom I seen a symbol or what seemed at the time to be very similar to a child's mobile that hangs over a crib. I could " FEEL " a wonderful energy and presence around the symbol. I immediately drew the symbol on paper and my soul told me it was a "sigil" and to look the symbol up in a book that has information about Angels. The only one I had at the time was from Ted Andrews. And sure enough I found a chapter on the Archangels and their "sigils" . Each Archangel has a sigil. Archangel Michael's sigil is the EXACT one I seen and drew. So, I went upstairs to my bedroom to go into meditation and ask AA Michael directly if this was his symbol . As I was meditating I look at the door way again where I had previously seen the sigil, and there stood AA Michael, Boy was he beautiful. He appeared in blue and white clothing with a full wing spread and very tall. He appeared to me in a way that I could receive him Archangel Michael nor I spoke a word audible, Yet I knew without a doubt what was being said. " It is time for you to help the prior soul home and for you to come into this body completely, it is NOW time for you to get started on your soul contract. I co-existed with the prior soul for years, not knowing at the time that the previous soul would eventually go home. AA Michael continued saying " the karmic contract of the prior soul was now complete and in a very good way". All of this resonated at a very deep level in my heart. It just "felt " right. I asked AA Michael " How do we do this ? He said " we will call forth to your Oversoul to assist you completely in the physical body and I will assist the prior soul home. Would you start with prayer and your true hearts intention ? and I said Yes". I lit a white candle and started burning some sage as I started saying some prayers, I gave permission as did the prior soul for the transfer to take place and with grace, I gave my many thanks to the prior soul for a job well done and for the precious physical body. I experienced a lot of grief and a sense of loss. Archangel Michael took her hand and led her away, while at the exact same moment I came fully into the physical body, grounding and integrating my energies into the physical body. I was in an altered state of being for 3 days, at which time AA Michael was by my side constantly, as if he were a part of me and me him, all along journaling my experiences. On the fourth day he told me that he would be consciously and directly working with me and on a daily basis. I chose not to share this information, as I needed to know for sure that I was not imagining it and it was not coming from my ego, 3 years later I started to share that I work with AA Michael. He stated that I need to now learn what is required of me to work with his consciousness. There was much I needed to know and understand in this 3 rd Dimension of Earth. Over the next 2 years I worked very closely with AA Michael, learning all that I could. Since this day November 11-1995 I have been consciously working with AA Michael on a daily basis, it has become first nature for me. AA Michael and I assist many walk-ins home and I travel the country, as it is suggested from AA Michael and my Oversoul, to clear areas energetically and then to consecrate an area. A few years ago, AA Michael asked me to start bringing through his messages for all, and I do this through our newsletters and our web site. Many people and friends have said over and over, that I seem to have an unshakable faith and that I should own a tee-shirt that says " Fearless". AA Michael is one of the greatest beings to work with. Gentle and yet stern are his teachings, full of GREAT LOVE, Great Strength and Great Courage. From this moment on, I have had very little fear of anything, truly KNOWING that I was always protected, and yet very discerning on what is mine to do and help with, always by my side is AA Michael and his legions of Angels. I am so grateful. Through the Power of God anchored in my heart and within the hearts of ALL humanity, I invoke God's Golden Ray of Eternal Peace and Limitless Abundance. Precious Sacred Fire, blaze in, through and around every electron on my Being. Flood my consciousness and the consciousness of every man, woman and child with Eternal Peace and Limitless Abundance. Lift me into the Realms of Illuminated Truth, and bless me with the clear Inner Knowing that Eternal Peace and the God Supply of all good things are my Divine Birthright. I relinquish now, in the Name of God, all the beliefs I have ever had that are based in poverty consciousness. In deep humility and gratitude, I consecrate and dedicate my very life to be the open door through which Eternal Peace and Limitless Abundance will flow to bless me, my family and loved ones, my friends, co-workers and ALL Humanity. As I think, speak. feel and act, the Presence of God within me is expanding God's Gift of Eternal Peace and Prosperity to all life evolving on Earth. I AM an Awakened Being. I gratefully accept, into my life NOW, God's Eternal Peace and Limitless Abundance. And So It Is and So It Has Been Accepted ! The Essence of Today: "I shall pass through this world but once. Any good that I can do, or any kindness that I can show any human being, let me do it now, for I shall not pass this way again"
The Master Zhoser is the master physician for the new millennium. Several years ago Master Zhoser came through during my Reiki Master Teacher Attunement. It had a profound effect on me. I felt a very large presence behind me. I knew it was the vibration of the Cosmic Christ Consciousness, so I asked who are you ? This presence replied with "I AM Zhoser" . I immediately got a beautiful image of this wonderful being, very large in size and in full Egyptian dress, headpiece and all. He made no attempt to hide his presence at all. I feel that he really wanted me to KNOW that he was present. I had read about the Master Zhoser in the Astara's Book of Life, First Degree ( or lessons ). After this experience I decided to do some more research and see what I could come up with. I found 3 books in our library , here at Namaste, that had information about King Zhoser. Astara's Book of Life: The Master Zhoser was a pharaoh in the third dynasty of ancient Egypt, and it was during his reign that the supposed first pyramid was constructed---the Step Pyramid at Sakkara , which was designed to rest upon the ley lines, or electrical grid points, of the planet,---which may be the oldest building on earth today. The Step Pyramid was used as a temple of initiation in the Mysteries and Zhoser himself was hierophant of the temple. The name Zhoser was given to him at birth. It means "the Holy", for his birth had been prophesied by the seers of his day. During his first initiation a new name was added to that of Zhoser. It was Neterkeht...which means "God in flesh". His hands are like highly charged magnets. A flow of power passes from him into the disciple who prays for his healing help. This is the wondrous healing power which he possesses and for which he has become so noted. In the book: Initiation in the Great Pyramid, by Earlyne Chaney. $15.00. It states that the Master Zhoser's birth fulfilled the prophecy of a coming avatar. Born with the mystical veil or caul of divinity over his face. This type of veil has nothing to do with a normal birth. I was born on November 28 on Thanksgiving Day in 1952 with what the doctor said was a birth veil or caul, ( Caulbearer ) ( from research I found out that this is a divinity Caul of a Mystic , King Zhoser from Egypt had this Caul when he was born.). I remember my mother telling me for years ( and I have asked her in recent years ) of this veil and she said the doctor was very surprised to see it, he had heard of this birth Caul and he continued to tell my mother that he had delivered thousands of babies and this was a first for him. My mother and I have had a very special spiritual connection. I AM a Caulbearer. The Birth Veil or Caul: From the book : Born With A Veil. "There are many ancient tales about the veil or caul: When a mystical individual is ready for higher experiences , one of these veils is lifted in order to allow the mortal freedom to delve deeper into the secret chambers of the subconscious, to open certain secret doors where the masters of light reside, thereby enabling the individual to obtain wisdom from the soul teachers. When we are ready to be initiated , then we are given various problems that can sometimes be most difficult. How we handle these problems is important, as it tells the inner teachers whether we have learned our lessons or failed to conquer them ". Joshua David Stone also speaks of the master Zhoser in his book: Hidden Mysteries, ETs, Ancient Mystery Schools and Ascension. $15.00. The connections with the Anunnaki and the Ark of the Covenant, the Great Pyramid of Giza, and a remnant island once called Aztlan (Atlantis). Less then 3 miles from us here at Namaste, is Aztalan state park, which is full of ceremonial mounds and history. In fact, we have a pyramidal configuration of three vortexes that consists of Aztalan, Rock Lake and Namaste. It was in my soul contract, that I would move to this area and be the third vortex and to help stabilize the other two, and to help spirit anchor in the Temple of Divine Will; Genesis, And this has been done, I Am here. I think many of you might see that there is a connection here . We highly suggest reading the books listed above. I have been a member of the Astara Mystery School since 1996 and recommend it to all. The Master Zhoser was present at my Reiki Masters Attunement, and now overlights my healing sessions. Psychics are born into this world and there are specific traits or characteristics that mark one with such power, such as a veiled birth: legends. Each of us has, at some point or another, experienced a moment of foresight. For instance, thinking of someone just as she or he calls on the phone or somehow knowing what the next song on the radio will be. Moments like these often make one stop to ask, �Was that a coincidence or am I psychic?� Although it would be wise to consider whether or not your favorite radio station rotates the same 50 songs day after day, it very may well be that you are at least a little bit psychic. Of course some people, like musical prot�g�s, have the gift more than others, and from a very early age. Many of us study and practice a musical instrument for years, achieving a moderate level of proficiency, while others take to it with what appears to be lightning speed, able to identify and play notes on hearing them, visualizing music and hearing music play in their heads. The very best psychics have a similar gift, an extraordinary Extra Sensory Perception (ESP). One of the earliest marks of a psychic takes place at birth when a child is born in the caul (also referred to as veil or hood). The caul is a thin membrane, part of the amniotic sac in which the baby grows while in the womb. A child born with a caul usually emerges with the amnion covering his or her head. It has been described as a shimmering veil. The caul is harmless and easily removed by a doctor or midwife. Those born this way are referred to as caulbearers. These types of births are very rare, especially today due to more interventive birthing techniques. There is much folklore associated with caul births. In certain societies caulbearers were burned as witches and thought to be werewolves or vampires. For the most part, however, being born with a caul was seen as a good omen, a sign of luck and greatness, the mark of kings (caulbearers being born already crowned). Thought to bring wisdom, honor and truth, cauls were often purchased by Greek and Roman statesmen. In Scandinavian tradition, the caul was associated with the presence of an accompanying spirit called a fylgja which after birth would manifest as an animal, object or person. In other societies, caulbearers were believed to be impervious to drowning, and the cauls themselves (which can be dried and saved), were highly sought after by sailors, who would buy them and often wear them in lockets as prevention against drowning. Amniomancy, a form of divination, was practiced by interpreting the caul. Cauls were often kept as heirlooms. Upon the death of the bearer, it was said that the caul should be burned so its owner could rest peacefully. Caulbearers are also said to have the ability to be able to detect underground water, to predict weather changes and to know when fish and food will be plentiful. In addition to all this is the psychic ability. Born behind the veil, caulbearers are believed to possess special sensitivities, to have the ability to navigate between many worlds and to see the future. Along with the psychic gift, they are also said to be natural healers, practicing via laying on of hands or doing distance healing. Caulbearer infants are usually easy babies. As they develop, caulbearers can potentially be misunderstood because people sense that they are different. If you know a child or have a child born with a caul, being aware of these associations may help sensitize you to their potential needs and gifts. However, it�s important to bear in mind that all children, born with a caul or not, should be treated no differently and allowed to develop whatever psychic, healing or special talents they may have. Some famous caulbearers include Alexander the Great, Jesus, the poet Lord Byron, Master King Zhoser and the mystic poet Kahlil Gibran.
" I own that I have an immoveable faith in God and His goodness, and an inconsumable passion for truth and love. But, is that not what every person has latent in him ? If we could erase the " I's " and " mine's " from religion, politics, economics, etc., we would soon be free and bring heaven on earth. What is Truth ? A difficult question; but I have solved it for myself by saying that it is what the " voice within " tells you. There is only life where there is love. Life without love is death. It is my firm faith that we can conquer the whole world by truth and love". Gandhi, Apostle of Peace.
" Never doubt that a small group of thoughtful, committed citizens can change the world, it's the only thing that ever has" Margaret Mead. We ask ourselves, who am I to be brilliant, gorgeous, talented, fabulous ? The good that you do today, people will often forget tomorrow; Do good anyway. I thank the Universal Spirit of all that is for this day and I choose to see only light, love and innocence within myself and others. I invite the presence of that spirit into every situation. I choose to be all that I AM and to know that it is safe to honor and cherish my true identity. I AM love, loved, loving and lovable. I AM a beautiful, desirable and empowered person. I know that true prosperity is perfect health, wealth and happiness. I accept that spirit is the source of all supply and that money is spirit in action. Love is flowing from me and to me so richly and so fully that I have abundance, prosperity and affluence to share and to spare today and always. My body regenerates itself and I emanate perfect health. I AM breathing fully and vibrantly today and always. I choose to give up difficulty and to be a living example of human potential. These words I speak in faith and they activate a law of Universal good and I accept and share the results. I AM grateful for these blessings, for the increase in them and for all others knowing that we prosper together in every way. I AM rich in my heart, I AM rich in my soul, I AM rich in my life, I AM rich and I AM whole. Oprah asked her what she thought of growing older? life does go on, and it will be better tomorrow." you'll miss them when they're gone from your life." you need to be able to throw some things back." I usually make the right decision." "I've learned that even when I have pains, I don't have to be one"
The Invitation- You have been invited ! It doesn�t interest me what you do for a living. I want to know what you ache for and if you dare to dream of meeting your heart�s longing. for love, for your dream, for the adventure of being alive. It doesn�t interest me what planets are squaring your moon... I want to know if you have touched the center of your own sorrow, if you have been opened by life�s betrayals or have become shriveled and closed from fear of further pain. I want to know if you can sit with pain, mine or your own, without moving to hide it or fade it or fix it. I want to know if you can be with joy mine or your own, if you can dance with wildness and let the ecstasy fill you to the tips of your fingers and toes without cautioning us to be careful, be realistic or remember the limitations of being human. It doesn�t interest me if the story you are telling me is true. I want to know if you can disappoint another to be true to yourself. If you can bear the accusation of betrayal and not betray your own soul. If you can be faithful and therefore trustworthy. It doesn�t interest me to know where you live or how much money you have. I want to know if you can get up after the night of grief and despair, weary and bruised to the bone and do what needs to be done to feed the children. It doesn�t interest me who you know or how you came to be here. I want to know if you will stand in the center of the fire with me and not shrink back. It doesn�t interest me where or what or with whom you have studied. I want to know what sustains you from the inside when all else falls away.